Pilbara’s best kept secret: Mackerel Islands Is In Full Swing! Welcome to our island diary – where we’ll be brewing a hot-pot of collaborative guest stories and team musings on and surrounding the Mackerel Islands, Western Australia’s amazing Pilbara coast. For those who aren’t familiar with the Mackerel Islands, we’ve been operating since the 1970’s and throughout that time have been wholly committed to providing you a consistently awesome experience when you visit. We’ve recently made some exciting changes and are all set to welcome you with a big smile and service to write home about. So, we’ve been busy, and can’t wait to share it with you. Well, we think you’ll love the fresh look of the beachfront cabins on Thevenard Island, due for completion very soon. Many of you may know we’ve been operating at a minimum for the last few years, so we’ve polished and buffed, shopped and spruced, primped, puffed and painted to make sure your holiday relaxation radars are always in the ‘aaaaah’ zone. Accommodation is free for kids up to 15 years during 2016, now that’s not a bad start. DAILY transfers to the islands – more opportunities for those whimsical moments of wanting to get away from it all, whenever you like, even if just for a day. SUP, anyone? The pristine waters surrounding the islands are ‘el superb’ for cruising at your own pace on our new stand up paddle boards. 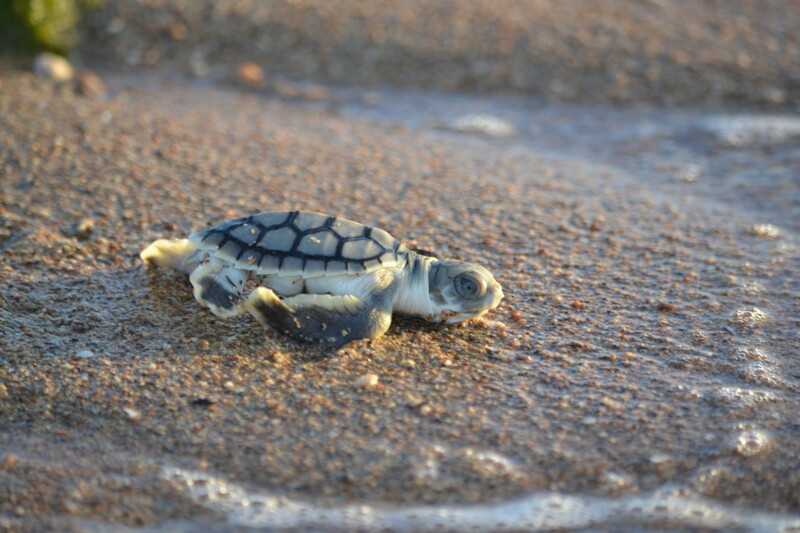 Watch your little ones fill with glee when they fish-feed from the jetty on Thevenard Island, and if you’re there before April’s end you might glimpse the last of the turtle hatchlings running for their lives toward the sea. Direct flights are now available from Perth – Onslow via Virgin Australia, opening the Mackerel Islands up to those of you seeking a local escape from the daily routine, or want to discover more of our beautiful, vast, untamed region. We’re now on Instagram, YouTube and TripAdvisor and as well as Facebook! Stay tuned, follow us @mackerelislands and tag #mackerelislands during the high season for a chance to win some great holiday prizes, or for your holiday photos to be featured on our social pages (with credit to you, of course). A final note, bear with us, our new website is just learning to crawl, we’ll have more fresh images, videos and virtual tours coming your way. Meanwhile, enjoy! We’d love to hear from you, we take all suggestions into consideration so please use the comment box below or share away on your preferred social hub.